The ancient town of Bansko is situated at the foothills of majestic Pirin, one of the most beautiful Bulgarian mountains and listed as a UNESCO World Heritage site. Certainly Bulgaria’s up and coming winter destination, ski holidays in Bansko combines excellent well-groomed tree-lined pistes, a good snow-sure record and an efficient infrastructure. The two main, newly renovated ski-centres are located above the town on the northern slopes of Pirin - the low altitude Chalin Valog (1100-1600m) and the high altitude Shiligarnika (1700-2500m). Bansko’s ski centres have an extensive variety of skiing for any age and level. Slalom and giant slalom runs are available in the latter. Quality, modern resort accommodation offer a good range of amenities for those on ski holidays in Bansko. 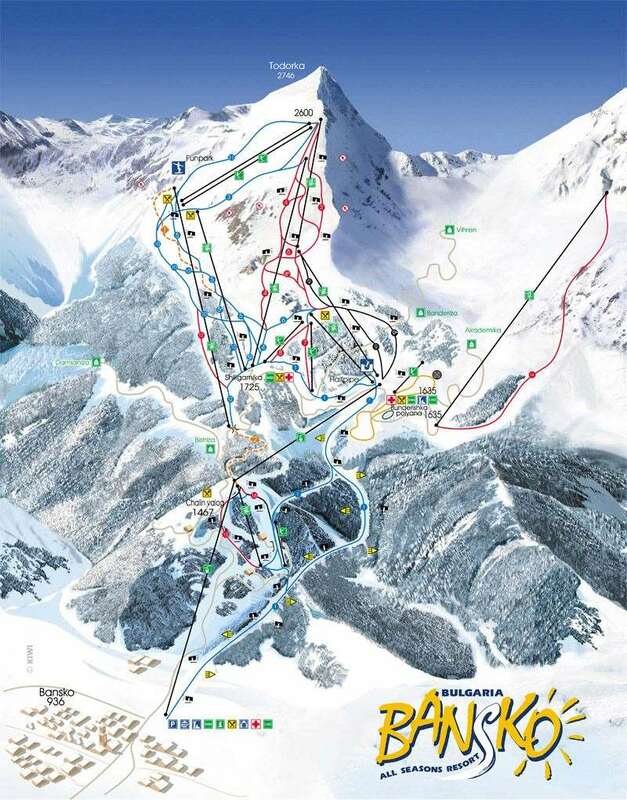 A regular bus-shuttle service interlinks the town, the mountain hotels and the main ski centres. Tours can be arranged to Semkovo ski centre in Rila Mountain which is a 40 minunte drive away and helicopter trips can bring you to Borovets, the largest ski centre in Bulgaria, within 20 minutes. The ski school for beginners on a ski holiday in Bansko is a very good one, with plenty of blue runs for beginners to practice on. The ski area is great for the intermediate skier, with well-maintained, wide, picturesque runs. More advanced skiers will especially enjoy the excellent opportunity to maximize skiing practices. 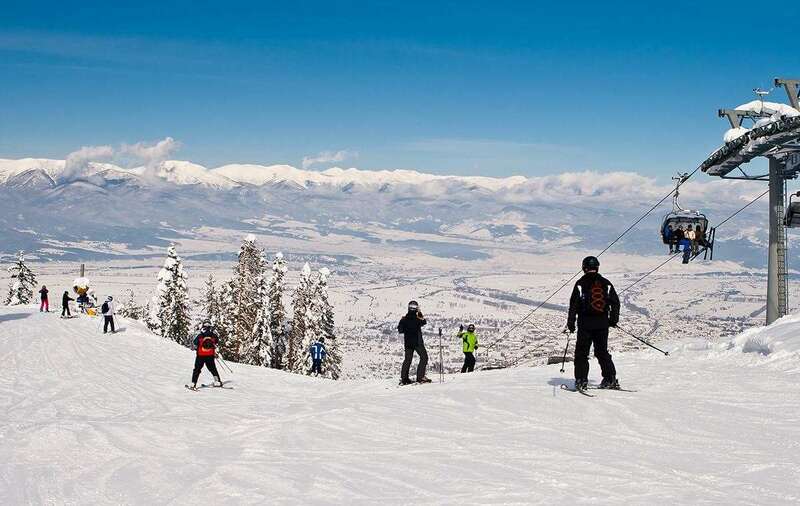 Ski holidays in Bansko draws a great number of visitors with its 120 cultural monuments, museum-houses and the Bansko school of icon painting exhibitions. The region is famous for its cuisine and colourful traditions. Après-ski is cosy and relaxed, evolving around the vast selection of “mehana,” which are taverna style restaurants offering delicious local fare and live entertainment. There is a good choice of local shops in Bansko and a trip to the historic, old town is well worth the visit for purchasing souvenirs on any ski holidays in Bansko. To get settled in this gorgeous, popular resort; take a look at our great range of Bansko apartments, where you'll find excellent ski accommodation at fantastic prices. The overall weeks holiday was 10 out of 10 value for money. We stayed at the Kempinski and was impressed with the hotel, the ski facilities etc etc.... We had our doubts about Bulgaria from reports from other people, some justified ie. food 3 out of 10, but edible... hotel food was 7 out of 10 and expensive, but worth the extra.